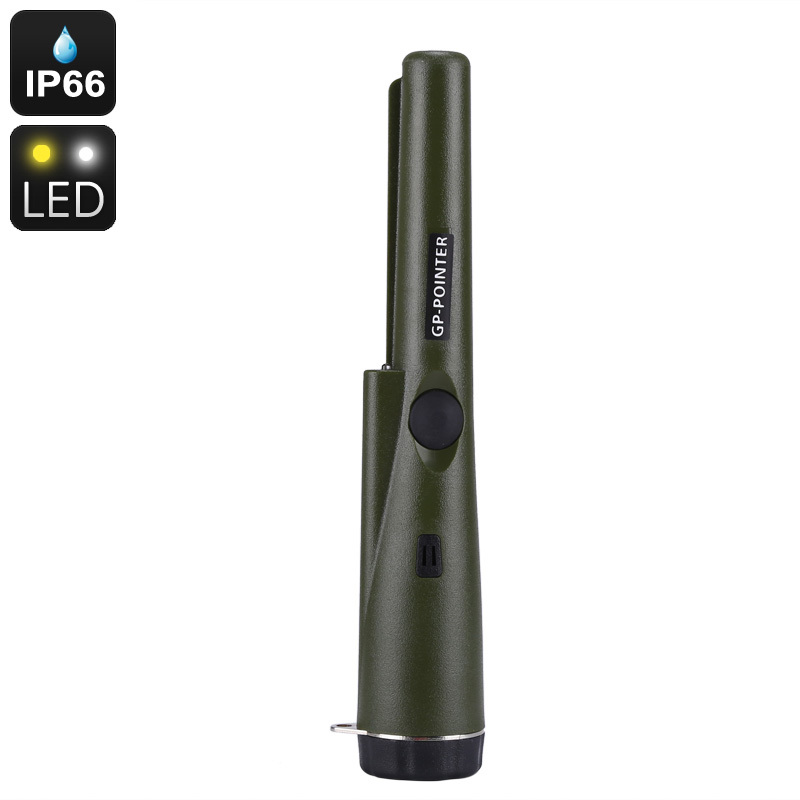 Successfully Added GP-Pointer Metal Detector - IP66 Waterproof, LED Light, 360 Degree Detection Area, Audio And Vibrating Alarm, Compact (Green) to your Shopping Cart. The GP-Pointer metal detector is a compact lightweight electronic gadget that will support you during your upcoming treasure hunting trips. With a length less than 23cm and weight below 160 grams, this metal detector can be easily carried around anywhere you go. It comes with its own holster and retractable thread. Thanks to this, you’ll be able to have it on your side at all times and don’t need to worry about accidentally dropping it. However, even if this would happen, it is not something to worry about. Your metal detector features a tough IP66 design. This makes it resistant to drops and other impacts as well as to dust and water. It does not matter where your upcoming treasure hunt will take you, this metal detector will follow you anywhere. This cool outdoor gadget features an intergraded LED light which allows you to use it at night. Its durable design furthermore lets you use this electronic gadget as a shovel. Thanks to this, you’ll be able to search for metal objects and dig them up with the same device. From now on, you’ll never return empty handed again as with this metal detector, success is guaranteed. It features a 360-degree detection area and is easy to use. You can be assured that with this outdoor tool at your side, not a single treasure in the area will stay hidden. Whenever metal is detected, your detector will inform you through both audio and physical vibration alarms. The intensity of the alarm will increase gradually while getting closer to the object. This allows you to roughly predict the distance between you and the treasure that has been hidden underneath you. This outdoor gadget is powered by a regular 9V battery (not included). This cell brings along plenty hours of usage time to get you through the longest of days. For all of you that spend a lot of time in the outdoors searching for lost or hidden objects, this mini metal detector is the perfect accessory.